If standard Magento search opportunities are not enough for your ecommerce business, and we know that they are not, pay attention to various Magento 2 search engines. However, if you do not want to deal with a complicated integration procedure, we recommend you to check the best extensions that will completely revamp the way your customers look for something on your website. The best Magento catalogue search plugins are gathered here: The Best Magento Extensions For Improved Catalog Search; if you are looking for Magento 2 catalogue search tools – check this out: Magento 2 Extensions for Improved Catalog Search. As for this post, below we would like to draw your attention to the MageWorx Search Suite. 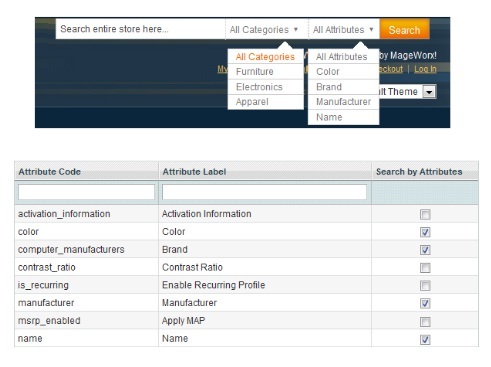 The MageWorx Search Suite extension drastically improves default Magento search functionality, providing users with exhaustive tools for configuring and managing onsite catalogue search options. Moreover, it allows merchants to get a detailed analysis of search results. The module uses integration with the Sphinx search server, making Magento search faster and more precise. Autocomplete feature together with the as-you-type suggestions instantly shows relevant results and allows customers to find exactly what they are looking for quickly. 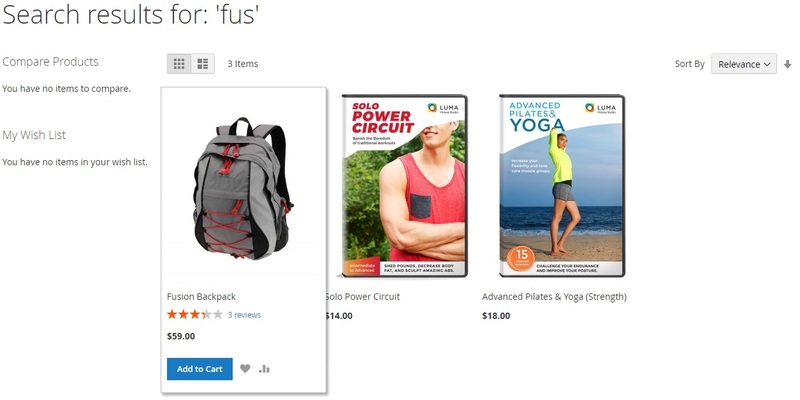 These features improve user experience on an online shop in general, saving time and enabling website visitors to add the searched items to their cart right from the search result pop-up. In the end, user-friendly and intuitive catalogue search functionality increases conversion rates on an online store, brings more profits and attracts more customers. Since Magento 2 and Magento 1 extensions offer slightly different features, each one has its own overview. Note that the part related to the M1 module illustrates future improvements that will be available in the M2 tool soon. Although Search Suite for Magento 2 is a less complex solution, it already dramatically improves the default Magento 2 search. Furthermore, MageWorx plans several significant improvements that will lead the extension to a completely new level, but let’s look at its current set of features first. The module allows you to integrate your ecommerce website with Sphinx. Furthermore, you get a very convenient interface that enables you to predefine Sphinx settings and fully customise the default Sphinx functionality. There is even an option that is responsible for defining Sphinx connection timeout. 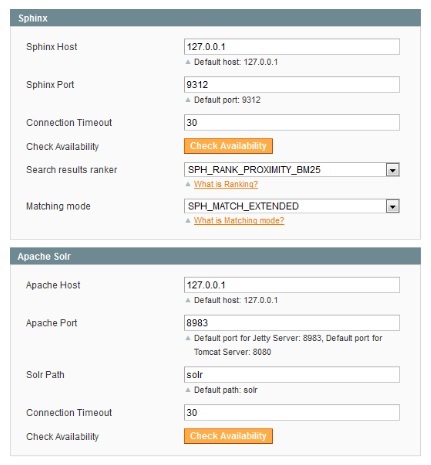 Besides, the MageWorx tool lets you validate the Sphinx Config file, as well as specify a Search Matching mode. Another great opportunity you get with the MageWorx Search Suite Magento 2 extension is related to tweaking the Search Results Ranker settings, so you can provide your potential buyers with goods you want to sell to them. If you do not want to work with customisations, the module lets you use the default settings. As a result, you can implement the enhanced search functionality right after the extension installation. With the help of the Magento 2 search autocomplete, the extension simplifies user experience even more. Your Magento 2 website visitors will no longer have to type full search inquiries: several letters will be enough for a list of the most relevant results to be displayed. This feature substantially decreases the time necessary to find something on a website, so your clients will become more loyal. Furthermore, the Magento 2 autocomplete feature increases chances they will see and buy the desired goods. An essential improvement that is going to be released soon for Magento 2 extension is the autocorrect functionality. It often happens that customers make mistakes while typing a search inquiry, and with the disabled autocorrect they do not get what they were looking for. While someone can retry the attempt to find the desired item, most visitors will leave your ecommerce storefront without even seeing how user-friendly your prices and other conditions are. With the autocorrect feature everything is different: while a customer makes a typo, the extension understands what he or she wants to find and displays correct results despite there is a mistake (or several) in a search inquiry. Thus, the tool essentially increases chances that customers will find what they are looking for! Core Magento 2 search settings are described in the following section. To configure general settings of the MageWorx Search Suite module, navigate to Stores → Settings → Configuration → Mageworx → SearchSuite. The Magento 2 advanced search extension configuration looks quite simple. First of all, in the Autocomplete Configuration tab, you specify search delay (don’t forget that it is in milliseconds) and choose what fields to show in a popup (suggested, products, or both). Then, it is necessary to set the number of both results suggested search and results product search. Next, you should specify product search result fields (Product Name, SKU, Product Image, Reviews Rating, Short Description, Description, Price, Add to Cart Button). In our example, there are five fields activated: Product Name, Product Image, Reviews Rating, Description, and Price. Later we will show how this configuration is implemented on frontend pages. Now let’s have a look at the extension settings in the Sphinx Configuration tab. You can use default Sphinx settings to quickly integrate your store with the search server, or customise server settings in the relevant fields. You can validate your changes in the settings to be sure that everything works fine. In this configuration screen, you should also specify connection timeout, as well as select Search Results Ranker and Sphinx Matching Mode. The window is divided into two sections – Suggested and Products (as we have configured it before). The first section contains suggested search terms that we have already entered (it is the same as ‘fus’). The second section contains products that match our inquiry. Each product information consists of 5 options selected in the Product Search Result Fields mentioned above. Besides, it is possible to see all products related to the search inquiry on a separate page. Hover over each product, and you will get additional options, such as Add to Cart button, Wish List, and Compare. While the Magento 2 module looks excellent, its Magento 1 predecessor offers even more advanced tools and features. First of all, it is necessary to mention that the extension is integrated with three search engines: Sphinx, Solr, and xSearch. 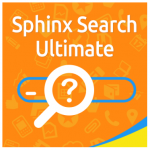 Being a Linux- and Windows-based search engine, Sphinx is aimed at a full-text search within extremely large databases, and your Magento website with all its items is exactly that environment. As for Solr, it is an engine for a full-text search that enables real-time queries and data analysis for tons of documents (it is what your ecommerce store has!) by scaling across servers. 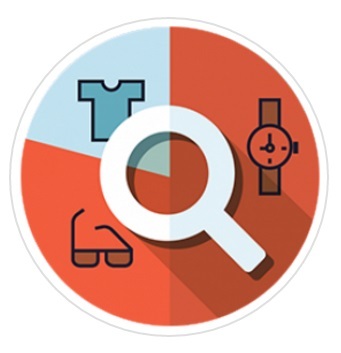 xSearch is an engine that calculates ‘search weight’ for each product on the basis of the specified product attributes quantity used in the search process. Of course, you get an advanced Sphinx integration after installing MageWorx Search Suite. The extension lets you generate a fully-fledged Sphinx config file in a matter of seconds. 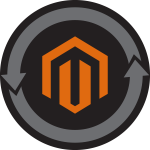 As we have mentioned in the section related to the Magento 2 module, it is possible to use the predefined settings or customise the way the extension works. 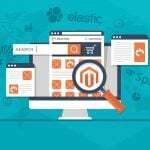 Besides, the MageWorx Magento module allows you to validate newly generated Sphinx config files, define connection timeouts, select a Search Matching mode that suits best your ecommerce needs, as well as fully leverage Search Results Ranker. 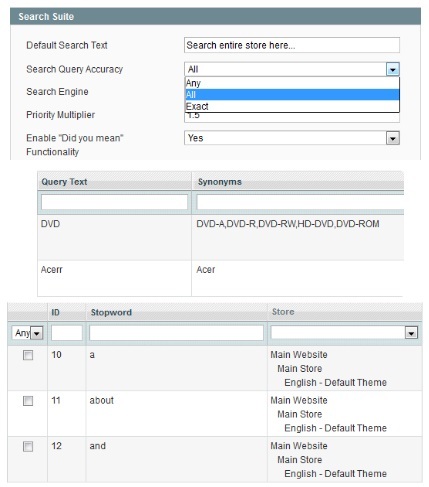 Moreover, we should not forget about advanced search accuracy options available in the Magento Search Suite. The extension can efficiently process both simple and complex queries using three search accuracy options: Any, All, and Exact. If you choose Any, the module delivers the results that contain the whole search query or separate keywords and keyword combinations. In case of All, the results include the entire search query and its separate words combinations. For the Exact option, the module delivers only exact matches. Unlike the Magento 2 extension, the MageWorx Search Suite already knows what to do with misspelled queries and typos. A smart algorithm understands all misspelled or hastily entered search terms. To make the extension more precise, you can add synonyms for popular search queries. As a result, misspelled queries will be prompted with a correct variant or its synonym. Another great opportunity available in MageWorx Search Suite is related to stopwords – words that do not contain critical significance for search queries. The extension filters them out from search queries since they return unnecessary information. You can either import stopwords or add them manually. Furthermore, don’t forget that MageWorx Search Suite Extension always offers maximally flexible search results. It lets you display product attributes and categories near the search field allowing customers to search by attributes only. Moreover, you can go even further and include catalogue categories and CMS pages into possible results your shoppers may get while looking for something on your website. 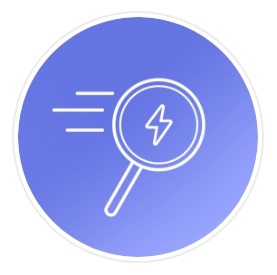 To make the extension even more flexible, utilise Related Searches – a feature that displays results based on what other people have been looking for. 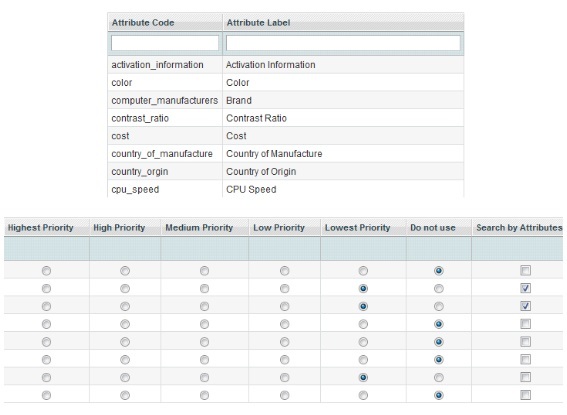 Now, let’s have a look at the xSearch, and the way product attributes search priority is implemented within the module. We have already mentioned that the search engine runs calculates the ‘search weight’ of every product. Although this process is fully automated, you can easily define the priority of every product attribute manually, customising the ‘search weight’ metric according to your business needs. Another thing we should mention while talking about MageWorx Search Suite Extension is the AJAX-based pop-up that appears when a customer starts to type a search inquiry. Due to the AJAX technology, the window appears and updates data without reloads after each new symbol being entered. It is possible to customise the pop-up with such data as a product name, SKU, short description, price, rating, product availability, thumbnail, and ‘Add to Cart’ button. Thus, a customer does not even have to leave the homepage of your store to find the desired item and place it in the cart. Being a significant boost in user experience, this feature makes your store visitors more loyal and consequently helps to increase sales. The whole process is lightning fast and works seamlessly even if you have lots of products, categories, and various pages. To make the process even more user-friendly, the module lets you choose an animation for the popup loading process, specify the delay in milliseconds, as well as limit the suggested searches number. The extension even enables you to exclude out of stock products from the search results that appear in the pop-up. The last feature we would like to describe is a robust analytics system that can help you learn what search terms your visitors are using. You can utilise this extension’s functionality to discover the most sales-generating keywords and optimise your product pages with them. The available data can be divided into several categories. First of all, it is the number of purchases made after entering each search term. Then, you can find out the amount of revenue each search term brings. 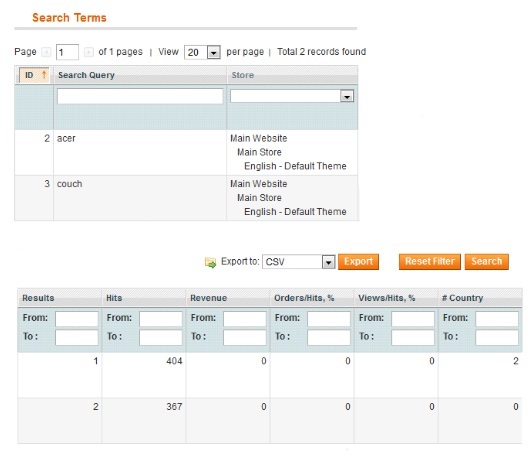 Besides, MageWorx Search Suite Extension lets you see orders to hits and views to hits ratio. The last metric shows the number of countries from where each product was searched. As you can see, both MageWorx Search Suite for Magento 2 and MageWorx Search Suite for Magento 1 improve the way search functionality is implemented in Magento. While the M2 tool is relatively new and does not offer all features available with its M1 predecessor, perspectives are great, and the description of the older extension illustrates how cool the new tool will be in the nearest future. Note that MageWorx offers free lifetime updates and bug fixes for both extensions, so it is a sufficient reason to purchase the Search Suite Magento 2 module right now, particularly because it costs just $99, while for the Magento 1 extension the company charges $149. Moreover, if you have already bought the M1 search tool, it is possible to get a 50% discount on the upgrade to M2!